Drink coffee on the balcony w/ awning looking at Verrazano and Manhattan views. 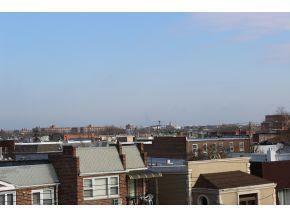 this Duplex condo has King sized bedrooms, 4 extra large closets with European shelving. 2 patios on 1st floor. Jacuzzi and stand up shower. 220 wiring w/ each outlet on its own dedicated circuit. Large windows with plenty of sunlight. Carpeted staircase, marble tile floors in kitchen, hardwood throughout.